If you’re planning on visiting Myrtle Beach for your bachelor party destination, you should gird your loins and recharge your batteries now because there is a lot to see and do while you’re there. Located on the Grand Strand, Myrtle Beach comprises 60 miles of beautifully maintained beaches along South Carolina’s northeastern coast. 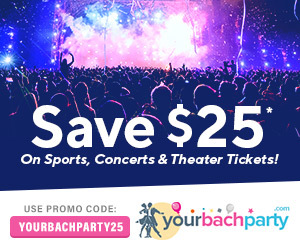 This handy guide provides valuable information concerning the logistics involved in planning a great bachelor party in Myrtle Beach, including some insider tips to help you avoid the rip-offs and take advantage of the best deals available, beginning with how to get there. Not surprisingly, more than 14 million tourists flock to Myrtle Beach each year to enjoy the stunning ocean vistas, the world-class eateries and the hundreds of recreational opportunities that are available. Fortunately, Myrtle Beach is located within driving distance from many American cities and metropolitan areas as shown in the map below, and you and your friends can add a fun and interesting road trip to your bachelor party. If you’d prefer to fly because of distance or to otherwise save valuable party time, Myrtle Beach International Airport (airport code: MYR) is serviced by major national and international carriers and is conveniently located near downtown Myrtle Beach (see map below). When booking your flights to Myrtle Beach, make sure you checkout priceline.com, as they usually have the best prices and availability. Rental cars are available at the airport beginning at 7:00 a.m. and ending at midnight from national rental companies such as Thrifty, National, Hertz, Enterprise, Dollar, Alamo and Avis. In addition, limousine rentals are available at Exit Door 6 and 24/7/365 bus transportation is available at the Exit Main Terminal Door (under the canopy) which provides service to seven different fixed routes along and around the Grand Strand beach area. 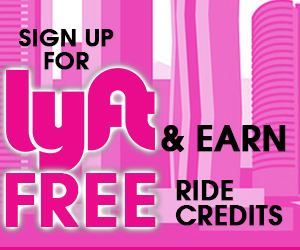 In addition, rideshare services (like Lyft and Uber) are available at Exit Door 5 which can be coordinated using your smartphone or shuttles to town are available at Exit Door 6 (some local hotels feature free shuttle service to check with your concierge or hotel staff). Likewise, taxis are also readily available outside of Exit Door 6. 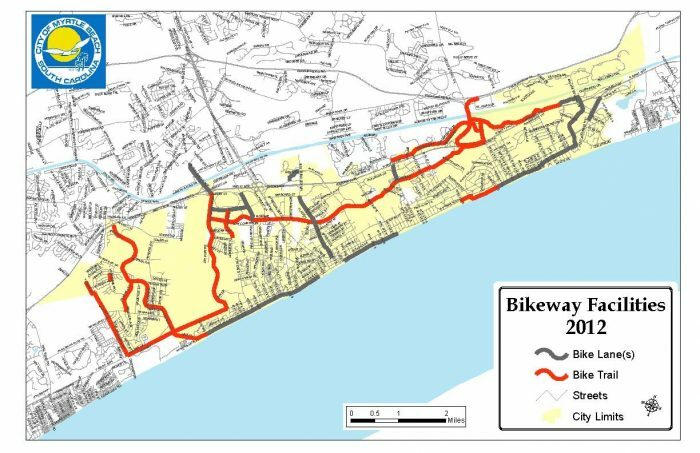 Many of the major area attractions, sights and entertainment venues are located along the 60-mile stretch of the Grand Stand but are concentrated in the downtown and nearby neighborhoods as shown in the map below. A fun and inexpensive way to get around Myrtle Beach and see the sights up close is renting a bicycle or moped. The city features a network of bikeways that take you and your friends on tours of all of the major venues of interest. 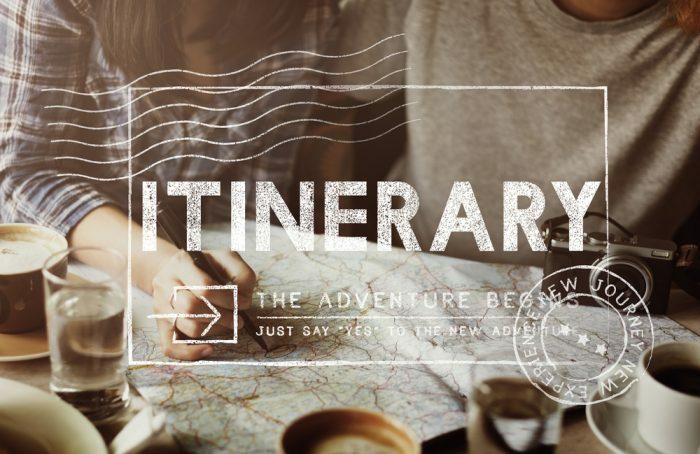 This option also allow you and your friends to stop and shop, eat and drink or “go off the beaten path” if you see something you’d like to visit. 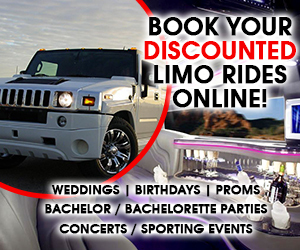 If you’re in the mood for relaxing and letting someone else handle the transportation around town, check with top-rated Carolina Limousine which features both stretch luxury limousines as well as dazzling party buses that will make just getting around Myrtle Beach part of the fun! Another top-rated company that offers upscale party buses is the aptly named Party Bus Myrtle Beach which specializes in bachelor parties with 15- and 17-passenger buses. A great way to combine the best of being chauffeured around the city in style with a breathtaking ocean view of the city is to take a “brew boat” tour of Myrtle Beach and interesting parts of the Grand Strand. In addition, you can captain your own rental speed boat or pontoon boat (up to nine passengers) to make your bachelor party especially memorable. There’s also plenty of other things to so and do during your Myrtle Beach bachelor party, including our favorites listed below. There seems to be a different entertainment venue, fun-filled attraction, inviting eatery or cultural destination for every one of Myrtle Beach’s 40,000 residents because there is a lot to do at virtually any time of the day or night in Myrtle Beach. Some of our favorite daytime things to do in Myrtle Beach include those listed below. If you and your buddies are golfers, you can take advantage of the more than one hundred challenging golf courses in the area or the three dozen or so mini-golf courses that are available year-round. You and your bachelor party buddies can easily spend the whole day at Family Kingdom Amusement Park and probably still not ride everything they have to offer. Experience the thrill of free falling from a 110-foot tower at the Slingshot Zone, sliding down an oceanfront zip line or the exhilaration of riding some of the best steel and wooden roller coasters in the country. If it’s hot outside, check out the bikini-clad beauties and water slides at the Oceanfront Water Park located right across the street. Want to go fast? Head for the NASCAR Racing Experience at the officially sanctioned Myrtle Beach Speedway and find out what it’s like to drive a real NASCAR racing car formerly driven by superstar drivers such as Jeff Gordon and Jimmie Johnson or ride along with a professional NASCAR driver in a pace car. Either way, buckle up and hold on ‘cause these cars are the real thing! Rides begin at just $20 and you’ll be sure to take home some great memories from this attraction. 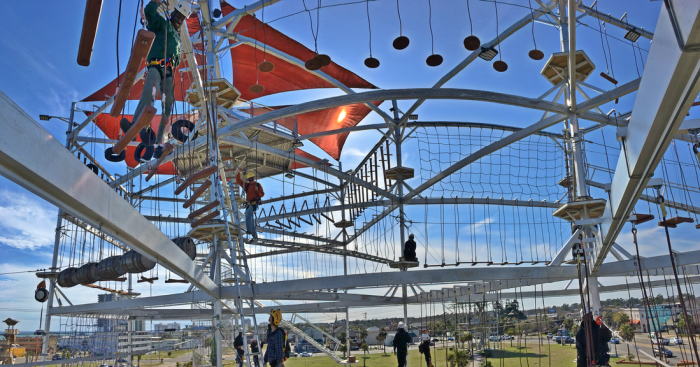 The Myrtle Beach Adrenaline Adventures lives up to its name with its 600-foot-long zip lines that generate 40-mph rides and some free falling, while still coming to a comfortable stop (we hope!) just in time in your safety harness. You can also blow your mind at WonderWorks, an indoor amusement park featuring one hundred interactive exhibits that will test your wits. This is not your mother’s amusement park, either, and you can get literally blown away in their 84-mph hurricane force winds or see what it’s like to be a fakir by lying on a real bed of nails. A ropes course, laser tag and more is available at this venue and you and your bachelor party buddies will find something that intrigues everyone. If you’re worn out from all of this exciting but physically demanding fun, relax during a visit to the nearby Franklin Burroughs-Simeon Chapin Art Museum with its stunning visual displays followed by a visit to the highly popular Springmaid Pier located next-door which is the longest pier in the city at more than 1,000 feet providing vista views of the Myrtle Beach oceanfront. There are also plenty of eateries and bars located nearby so you can chill for awhile and enjoy the ocean views. Likewise, enjoy some bowling and pool at 810 Billiards & Bowling – be sure to check out the coldest beer in town at their Sports Bar. Had enough? We didn’t think so and we have some great ideas for nightlife in Myrtle Beach such as those listed below. 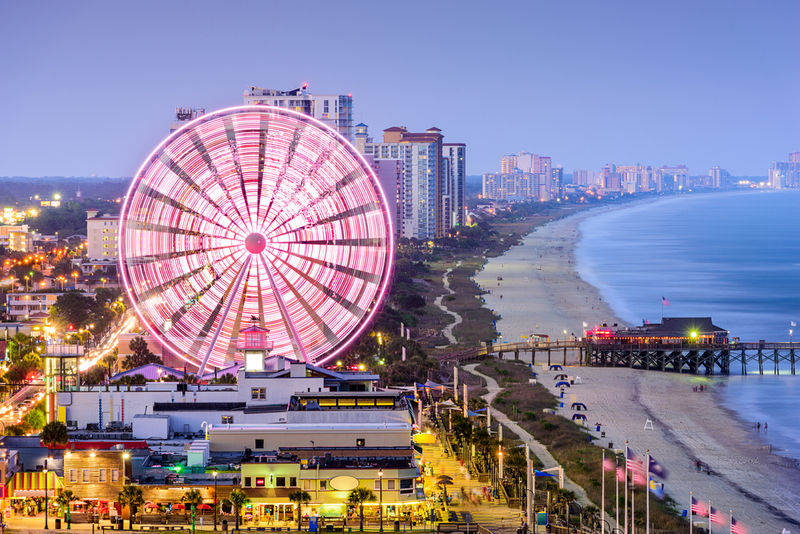 While Myrtle Beach is widely known as a family-friendly destination, the city heats up at night and there are bars that cater to every taste including Pier 14, RipTydz Oceanfront Restaurant (next to the SkyWheel), the SoHo Café & Bar and the River City Café. 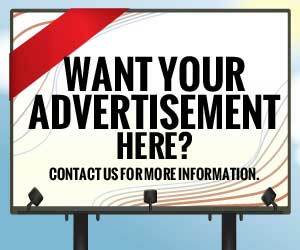 In addition, some of our other favorites nightlife venues are listed below. You know it – you love it – and you’ve probably been to one or more: Check out the internationally renowned Hard Rock Cafe in Myrtle Beach. Besides their usual collection of rock n’ roll memorabilia, the Hard Rock Café in Myrtle Beach also has private event spaces and they specialize in bachelor parties. They are sure to make yours special. Cool off at Wet Willie’s Penguin Lounge. Besides yummy bar foods, the Penguin Lounge also allows you to mix your own unique drink combinations using their mind-boggling array of flavors (check out their online version here) such as mango, sour apple, strawberry and kiwi. No trip to Myrtle Beach is complete without a visit to oceanfront The Bowery where “ya can’t beat fun!” In operation since 1944, The Bowery is a Myrtle Beach institution and is one of the top-rated venues in the city. Enjoy live music, weekly special events, major sporting events on big screen televisions or just relax with a beer and a game of pool. Don’t miss their signature drinks and specialty menu items. 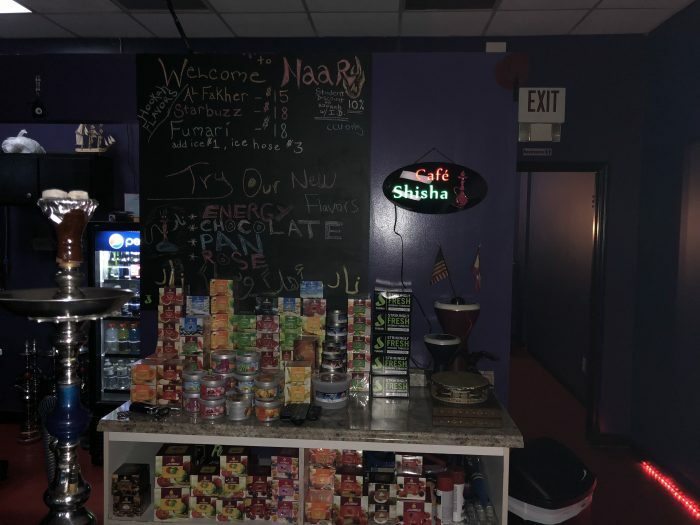 Finally, if you’re looking for something different and a little more exotic, visit the Naar Hookah Café where they feature various beers and wines as well as their house specialty, flavored hookahs. Naar’s is consistently rated top-notch by locals and visitors alike for the quality of their service and flavored tobacco offerings. You and your bachelor party friends wont’ get “left behind” at Derriere’s Gentlemen Club, Myrtle Beach’s only completely smoke-free adult club. More importantly, besides featuring the most beautiful and alluring women around, Derriere’s is a BYOB establishment where you can bring you own beer, wine or spirits and they provide ice, coolers and cups while you enjoy the hottest show in town on stage. Treat the groom-to-be to a special “Executive Dance” (Giggidity!) or a visit to the Jacuzzi room for some really hot fun. In addition, you can also chart your course for the top-rated Treasure Club where they have hot and talented female performers, several special events each week as well as daily specials. The Treasure Club also specializes in bachelor parties and has private VIP lounges where you and your friends can enjoy the show. Likewise, no matter how cold it is outside, it’s hot inside the Masters Gentlemen’s Club which also features beautiful women as well as a sports clubs and VIP areas for bachelor party guests. If you “eat to live,” there are plenty of conventional fast food establishments available in Myrtle Beach, but if you want to “live to eat” once in awhile, then treat yourself right for your special event and check out some of our favorite places to eat listed below. A visit to Johnny D’s Waffles and Bakery is well worth the effort because this venue has been voted the Best Breakfast Spot in the city by local residents since 2014. Perfect for breakfast, brunch or lunch, the expansive menu at Johnny D’s means that everyone in your bachelor party will find their favorite dishes here. 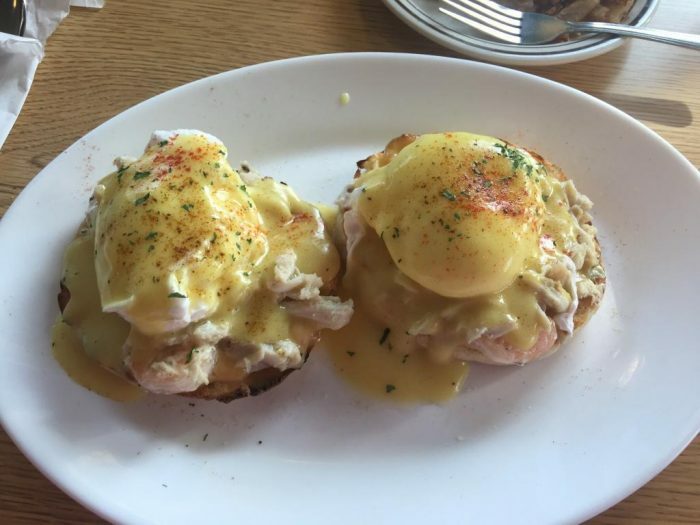 Known far and wide for their fast service and great brunches, the Woodhaven Pancake House is also a great place to get your day started in Myrtle Beach. Besides 71 specialty omelets (try the “Elvis” which includes a “hunka hunka burning love ham” or corned beef and hash (“live dangerously”), Woodhaven also offers a “Big Breakfast,” or their New York strip steak and eggs, homemade sausage gravy and other hearty menu items to provide you with the energy you’ll need for a day in this world-class resort city. The ocean side Tupelo Honey is also a perfect place for a late brunch or lunch any time of the day. 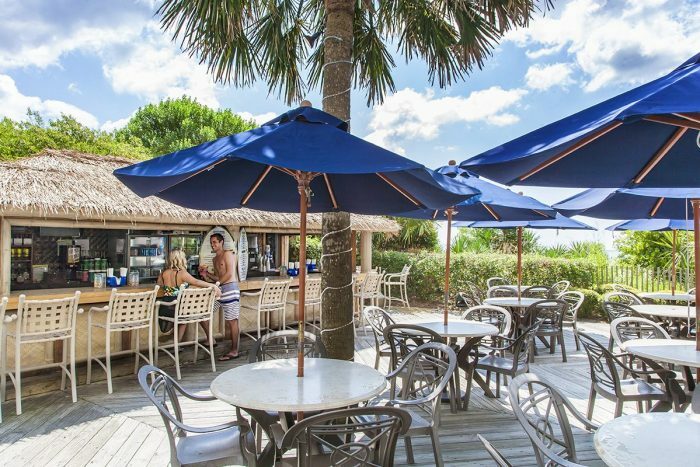 Besides their expansive menu offerings, Tupelo Honey also has a patio right on the beach so you can enjoy the sounds of waves crashing while you sample the fare, including some eye-opening drinks such as their house specialty Bloody Mary made with fresh oysters. In you want to try something really special for dinner, for just over 55 bucks each, you and your friends can experience a real-life Polynesian Fire Luau and Dinner Show in Myrtle Beach during the summer months. You and your bachelor party friends will enjoy a delicious buffet dinner followed by an hour-long fire dance performance that includes acrobats and the internationally acclaimed fire knife champions, the Lavatai Brothers, who will dazzle you with their dexterity and juggling abilities. Plenty of booze and souvenir photographs are also available. Specializing in bachelor parties, the Fire & Smoke Gastropub features all of your favorite American classic menu items such as burgers, steaks and seafood, but they also offer handcrafted cocktails, beers and a wine list that goes on and on. Please note that reservations are “strongly recommended” by management. If your busy schedule in Myrtle Beach during the day has kept you from eating, you can easily catch up at the Simply Southern Smokehouse which features an all-you-can-eat buffet-style dinner that includes a delicious array of barbecue dishes, chicken and dumplings, pork chops, sausage and onions, and more side dishes and desserts than you can possibly try in just one visit. The locals love this place and you and your buddies will too. With more than 10,000 hotel and resort rooms available, Myrtle Beach has accommodations to suit any taste and budget, including some of our favorites listed below. One of our field reporters just returned from Myrtle Beach and reports that the moderately priced Blockade Runner is one of the best places to stay during your bachelor party visit. All of the rooms have ocean views as well as an oceanfront swimming pool and Jacuzzi. In addition, all rooms at the Blockade Runner feature wireless internet, microwave ovens, coffee and coffee makers, and free HBO. The Hilton Myrtle Beach Resort is also one of the top-ranked resorts in the city, with private balconies providing unsurpassed ocean views. They also feature access to the “Splash! Waterpark as well as offering numerous on-site bars, restaurants, swimming pools (indoor and out) and even tennis facilities. Located near a number of major entertainment and recreational venues, the Hilton Myrtle Beach Resort will make a great base of operations for your bachelor party. 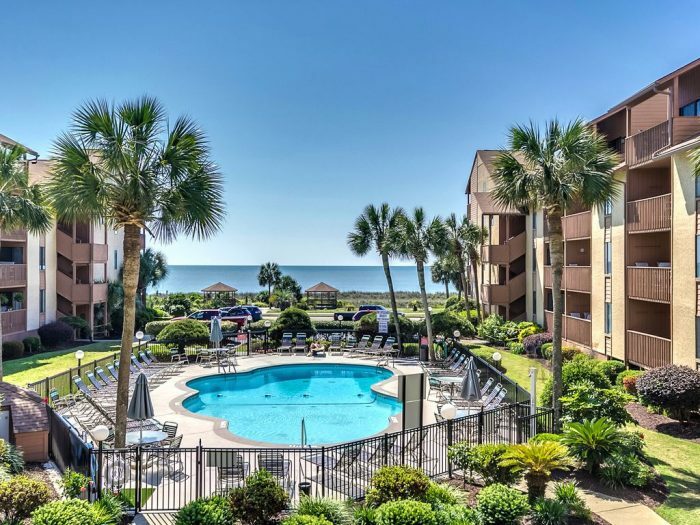 Rated one of the best resort values in Myrtle Beach, the Sea Crest Oceanfront Resort has an on-site mini-mart, free amenities such as sun screen and beach towels as well as indoor and outdoor swimming pools, a lazy river, and whirlpools. Check out the Malibu Beach Bar and Oceanfront Snack Bar with live entertainment and tasty bar foods. If you and your bachelor party friends would refer a private residence for your visit to Myrtle Beach, the following offerings were available at the time of writing. Most rental property owners are reluctant or even refuse to rent to partiers of any type so be discreet (but honest) in your negotiations so there aren’t any expensive surprises at check-out time. 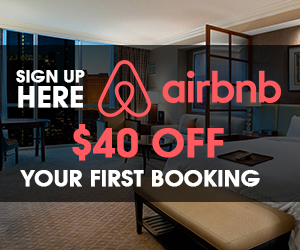 The listings below are based on a 4-day stay for six guests. Described by the owner as “Ocean Forest 2309—Penthouse 2 bedroom condo ocean front,” this residence rents for $181 per night and sleeps eight guests. Situated on the 23rd and 24th floors, this two-story condominium provides spectacular ocean views (especially the sunsets!) and includes all of the amenities you’d expect such as free wi-fi and a fully equipped kitchen and laundry. Located on the ninth floor within walking distance of the Boardwalk and Skywheel and renting for just $143 per night, this oceanfront downtown condominium sleeps six guests and has been recently remodeled. The property is also within walking distance of many of the most popular local attractions. In addition, larger groups can rent a second unit in the same building (two floors down) from this property. Although renters must be 25 years of age or older, this condominium features free cable and a flat screen television, fully equipped kitchen and laundry facilities as well as an unbeatable ocean view. The property also includes on-site indoor and outdoor swimming pools, a lazy river, and indoor hot tub. Shown below, this two-level, “Large 2 Bedroom 2 Bath Direct Oceanview” 1,200 square foot-plus condominium is located just 10 minutes from the airport, rents for $247 per night and sleeps six guests. This condo features free internet, two bedrooms, two full bathrooms, fully equipped kitchen and laundry facilities as well as flat screen televisions, DVD, stereo and a balcony with grill, all overlooking a lush tropical courtyard with ocean views. Located on the 14th floor, this large, luxurious oceanfront three bedroom, three bathroom condominium is priced at the higher end at $376 per night but it includes an oceanfront master bedroom (with king-sized bed), fully equipped kitchen and laundry facilities, as well as the ubiquitous lazy river, indoor and outdoor swimming pools and four hot tubs (no waiting!). A fitness center and tanning lawn are also available. 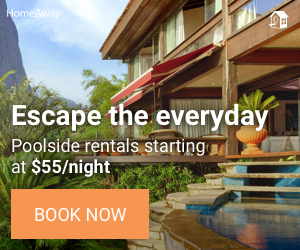 At just $185 per night, you can’t beat this two-bedroom, two bathroom ocean front condominium. With full laundry and kitchen facilities, indoor and outdoor swimming pools, hot tubs and a relaxing lazy river, you may never want to leave but the highly popular Bummz Oceanfront Beach Bar and Café is located right next door in case you do. This moderately priced ($155 per night) deluxe condominium sleeps six (one queen, two twin and one double sofa beds) and includes free wi-fi, premium cable channels (on relatively small flat-screen televisions), swimming pool, a balcony and grill with an ocean view, and free local telephone calls. Although it’s also the busiest time of year, the summer months from June through August are the best times to have your bachelor party in Myrtle Beach. Likewise, March through May are good times to visit, but you’ll have to contend with large crowds of spring breakers. You can save some money by having your bachelor party during the autumn months in Myrtle Beach and the weather is still sufficiently pleasant to enjoy many of the outdoor activities that are available. The absolute worst time to visit Myrtle Beach is during mid-winter when many of the seasonal attractions are closed; however, the rates are the best during these months so the trade-off might be worth it if you’re on a strict budget. While you probably won’t encounter any extremes (except for the occasional hurricane), there are some significant seasonal variations in the weather in Myrtle Beach as shown below. Prostitution and both recreation and medicinal marijuana are all against in the law throughout South Carolina (even simple possession of small amounts of pot can land you in jail for up to 30 days for a first offense). Although “hookers and heroin” are available in Myrtle Beach, our advice is to steer well clear of their neighborhoods for your own safety. 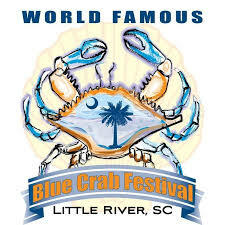 May: World Famous Blue Crab Festival. Swimwear: Don’t show up at a world-class resort and expect to swim in your underwear or jean cut-offs. Plan ahead and buy some stylish swimwear before you leave in order to avoid this embarrassing outcome. A light or heavy jacket: It can get downright cold in Myrtle Beach during the mid-winter months, and nights are chilly during the spring and fall so be sure to pack an appropriate jacket depending on when you plan to visit. Comfortable footwear. Even your best friends will make fun of you if you can’t keep up, so make sure you pack some comfortable footwear. Luggage and accessories: Even if you’re driving to Myrtle Beach, don’t rely on Hefty bags for your luggage. If you’re flying, you’ll save money by avoiding “hefty” airline fees, though, so be sure to have the right kind of luggage and accessories before you leave. Vitamins and supplements: The sample itinerary below should convince you that it’s important to keep your energy level up throughout the duration of your bachelor party so be sure to pack some vitamins and health supplements from a reputable vendor. There is so much to see and do in Myrtle Beach, especially during the peak summer months, that it would be a simple matter to just wander around the city and enjoy whatever fate holds. Because you want to maximize your valuable bachelor party time, though, it’s always good to have some type of idea about planning a day’s activities so we’ve prepared a sample itinerary for your first full day below. 9:00 a.m. – 10:15 a.m. Brunch at Johnny D’s Waffles and Bakery. Be sure to order their blueberry Greek yogurt pancakes and sample their fresh-baked breads and dessert items. 10:15 a.m. – 12:30 p.m. Take a “brew boat” tour of Myrtle Beach and enjoy the sights and a few brewskies. 12:30 p.m. – 1:45 p.m. Relaxing lunch on the ocean front patio at the Tupelo Honey café and bar. Don’t miss out on their Bloody Mary’s! 1:45 p.m. – 5:00 p.m. Start off with a driving class and then experience the thrills of the NASCAR Racing Experience at Myrtle Beach Speedway. 6:00 p.m. – 8:30 p.m. Worked up quite an appetite, huh? Not to worry. Enjoy a great meal and one-of-a-kind performances at the Polynesian Fire Luau and Dinner Show. Be sure to get your souvenir pictures! 8:30 p.m. – 11:00 p.m. Treat the groom and bachelor party guests to one of the best adult entertainment venues in town at the top-rated Treasure Club. Reserve a VIP table and make the groom feel special. 11:00 p.m. – ? Drinks and late night swimming at the hotel or residence. A great way to remember your Myrtle Beach bachelor party is to have customized bachelor party tee-shirts created using your own photographs or stock pictures provided by the vendor. These make great souvenirs and everyone will appreciate them. Airline change fee and frequent flyer mile redeposit fee coverage. Over the past several decades, the public and private sectors in Myrtle Beach have invested tens of millions of dollars in making their city the destination of choice for millions of visitors each year, and the investment has paid off. Not only is Myrtle Beach one of the fastest-growing communities in the country, the city offers an inordinate number of world-class recreational, entertainment, accommodation and dining venues for its size. Although the city’s motto isn’t “You will have fun!,” it should be. On a scale of one to five stars as a bachelor party destination, we rate Myrtle Beach 4 stars (3.5 stars if you’re looking for a 420-friendly destination). If you’re a gambler, you can try to have a great bachelor party almost anywhere but if you want a sure thing, bet on Myrtle Beach. The listings for daytime and nighttime activities as well as the accommodations and dining selections we presented above are just a very small sampling of what this modern resort city has to offer, and you and your bachelor party friends will be sure to have a memorable time.